People sadly often equate IT service management (ITSM) with IT support and running an IT service desk. While it’s true that modern ITSM tools/platforms are designed to automate support processes and empower end users – such as incident management and service request fulfillment – ITSM has a much broader purpose. It’s a keystone of IT operations, along with other IT operations management (ITOM) processes such as event management. It’s a mistake to treat ITOM and ITSM as separate silos. Of course, there’s the obvious connection between IT events and incidents, but it’s more than that. A well-designed ITSM tool/platform tracks the operational status of your IT environment, delivering current and historical information about your applications, business services, infrastructure, and processes. And by creating a feedback loop from ITSM into ITOM, you can take advantage of this information, turning it into operational and business insights. Whenever there’s a change to your IT environment, there’s a good chance that you’ll see some related events. But if your event management system isn’t connected to your ITSM tool/platform, then your IT staff might have no idea that these non-impacting events are due to a change (and can be ignored). Bells ring, incidents bubble up, and everyone wastes time. Contrast this with the use of an ITSM-aware event management system. Here, you can automatically suppress these non-impacting change-related events before they hit your support organization. Not only does this save time, but it also improves service quality by ensuring that your IT staff focus on real issues, rather than false alarms. The above is only one example of the benefits of connecting ITSM and ITOM. In fact, event management vendors are increasingly using machine learning to create insights across the operational lifecycle. Gartner describes this trend as Artificial Intelligence (AI) for IT Operations (AIOps) and predicts that 40% of large enterprises will adopt AIOps by 2022. What is AIOps and why do we need it? AIOps applies machine learning across your entire operational “big data” environment, including monitoring and ITSM data. It’s not about historical analysis of individual datasets; instead, by combining data from multiple sources, AIOps delivers high-value insights that aren’t available from a single dataset. And, by applying machine learning, it automatically uncovers correlations that humans don’t have the time, skills, or capacity to find. Predicting outages – Because AIOps looks at your entire monitoring dataset, it can use machine learning to identify subtle event patterns that lead to more severe issues. Once it learns these patterns, it can then recognize them in real time and issue a predictive alert – so you can take action before the issue actually occurs. Prioritizing events – AIOps also learns from your ITSM incident data, so it also knows the likely business impact of a predicted or actual event, i.e. which services are affected and how badly. That means it can prioritize events in real time based on their business context – so your IT team works on what really matters. Root cause analysis – AIOps uses event patterns and service topologies to identify the root cause of service issues. However, it also learns from similar historical incidents – discovering why they occurred and how they were remediated. That means that you automatically leverage your ITSM data to diagnose and fix issues – driving down the mean time to restore (MTTR) and reducing workloads at the same time. Integrate your monitoring data – If you’re like many IT organizations, you probably have multiple monitoring tools. For AIOps, you need to break down these data silos. Look for a modern event management platform that comes pre-integrated with a wide range of monitoring tools, and make sure that it’s easy to configure normalization, filtering, deduplication, and correlation logic without having to write code. You’ll also need an event management solution with a strong AIOps feature set and roadmap. Modernize your ITSM platform – If you haven’t already modernized your ITSM platform, then do it. Obviously, there are a huge number of drivers for this, including self-service, process automation, cost of ownership, and so on. However, from an AIOps perspective, ITSM modernization is about creating a consistent single system of record for your ITSM processes. The goal is to create rich, connected data that AIOps can then use to generate end-to-end, real-time operational insights. Connect ITSM and ITOM – Once you have the pieces in place, you now need to bring them together. While this may sound straightforward, integration can be a costly and ongoing challenge. Don’t just assume that you can throw everything into a data lake and have it magically work. Instead, look for event management and ITSM solutions that are already integrated. Are you already “doing” AIOps? Do you plan to? Do you have any lessons learned to share? Please let me know in the comments. 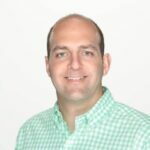 Andy is the Co-Founder of Evanios, an AIOps system that provides end-to-end visibility and actionable intelligence for dynamic IT environments. We need your help with ITSM topics for 2018... How can we better help you navigate your current ITSM challenges? Please provide your input as to what topics we should cover throughout the year.